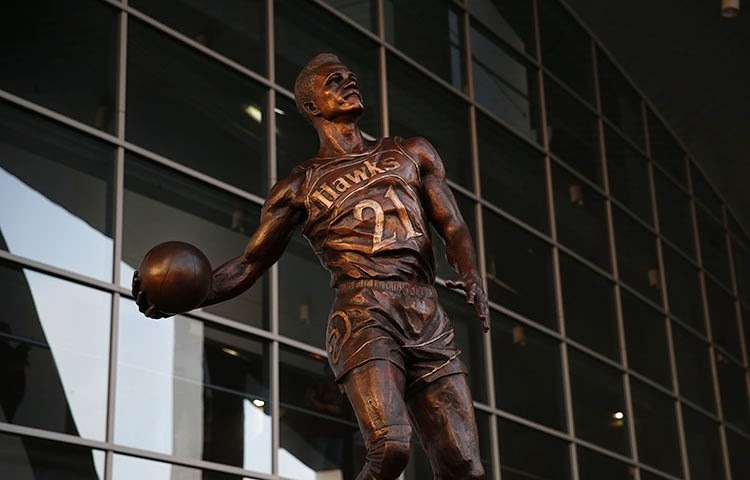 Some big news around these parts this week was the unveiling of a statue honoring Atlanta Hawks legend, Dominique Wilkins. The statue is really impressive looking and has been moved to its rightful place outside Philips Arena. The statue itself is really cool and captures 'Nique's essence. 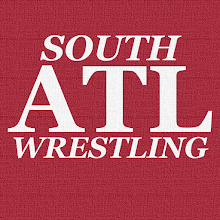 That is how most Atlantans think about Dominique Wilkins. As someone said it gives you that "anticipation of the dunk" that was a hallmark of The Human Highlight Film. As Boston Celtics and NBA legend, Larry Bird said, "I’m pretty sure it’s not made in a defensive stance." This is even more important that that because in a way it's a nice way to right a wrong as well. One of the most infamous moments in ATL sports history was the trade of Dominique Wilkins. Many Hawks fans had a lot of trouble forgiving the franchise for trading "their superstar" when he still had gas in the tank. The fact that he was trading for The Human Instructional Manual, Danny Manning who they couldn't even re-sign that offseason made it worse. Worse yet the Hawks were in contention that year. All-in-all it was an ugly situation and it is great for guys like me to see Dominique, our hero from the 1980s, get his due. Of course nothing like this ever goes off without some controversy. SportsGrid for example covered the idea of whether Dominique Wilkins was "statue-worthy." 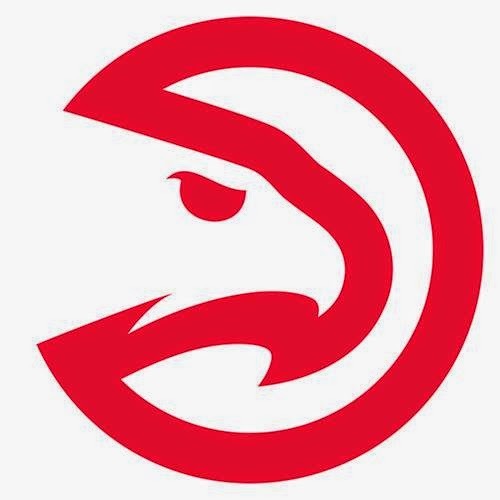 Now I will freely admit I have no idea how many ATL fans have an issue with it, but I'm going to assume it's far less than NBA fans in general. Is 'Nique statue-worthy? I say that's up to the city of ATL and Hawks fans. This touches on something that grates me in general. I love sports, I take sports too seriously as well, but it seems like too many of us just refuse to have fun or allow fun. It's kind of like my ongoing gripe with people criticizing the WWE Hall of Fame. In that case I enjoy seeing an industry that too often chews up and spits out quality people with great talent take a moment to honor them. I don't really care whether The Bushwhackers or Koko B. Ware "deserve" it or not. This mentality that we have to be careful about honoring too many people is silly. Personally, I think Dominique's deserves it based on his accomplishments and all that. I can't help that other cities or franchises choose not to honor some of their greats in the same manner. That's not my problem. When we go down to Turner Field to see the Braves there are several statues out there and it's a great part of the experience. I, for one, can't wait to head down to Philips and see Dominique's statue in person. It's a great way to honor an NBA great, an ATL legend, and an all-around great guy. Congratulations to Dominique Wilkins who deserves this tremendous honor. Photo Credit: The photo of the statue was properly credited in the caption, but I also wanted to add that I grabbed it from this story on the official website of the Atlanta Hawks, Fans Celebrate 'Nique Night, Statue. UPDATE: I just saw the court projection that the Hawks did for 'Nique last night. It HAS to be included here in this post.